hunters to be assigned to multiple markets in Florida, NY and Colorado. Basic Training to make you successful. Our Values are to make money and have fun! Have an innate ability to make things happen! Want to work with a brilliant back-end team dedicated to your success! 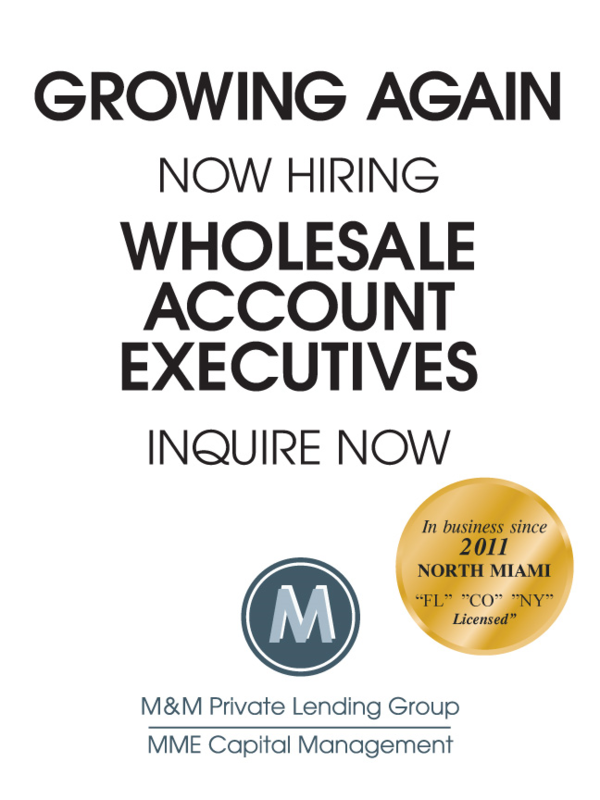 Prior Wholesale Mortgage experience REQUIRED. Develop and maintain productive relationships with Mortgage Loan Brokers. Communicate with brokers to ensure coordination of timely receipt of borrower conditions. Meet or exceed production goals and adhere to reporting requirements. Collaborate and innovate to drive continuous improvement. Handle all situations in a professional and ethical manner.